Reproduced from a poster advertising TWA's JetStream 707 Service is our newest addition to the carriers heritage. 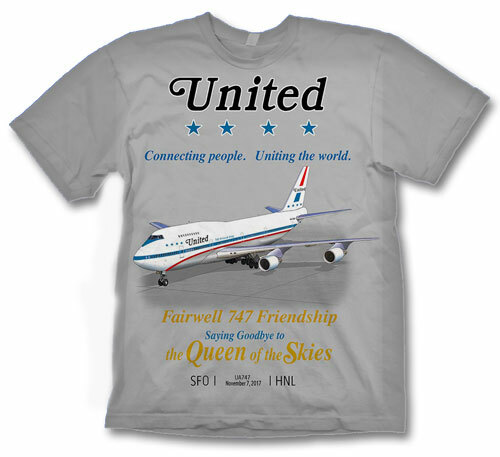 On a 100% cotton Iris Blue shirt the design has the "Up, Up and Away" slogan on the front, with the "World's Fastest Jetliner" poster on the back! Sizes M, L, XL and XXL. 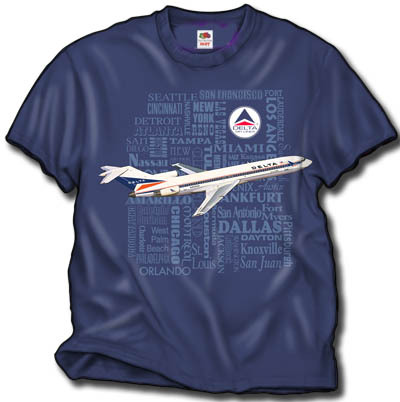 Visit our friends at www.twdcs.org, a great TWA alumni site.